Gotcha! 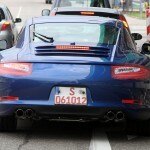 These are the clearest pictures yet of the hotly anticipated new Porsche 911 (Porsche 991), spied testing in Germany. 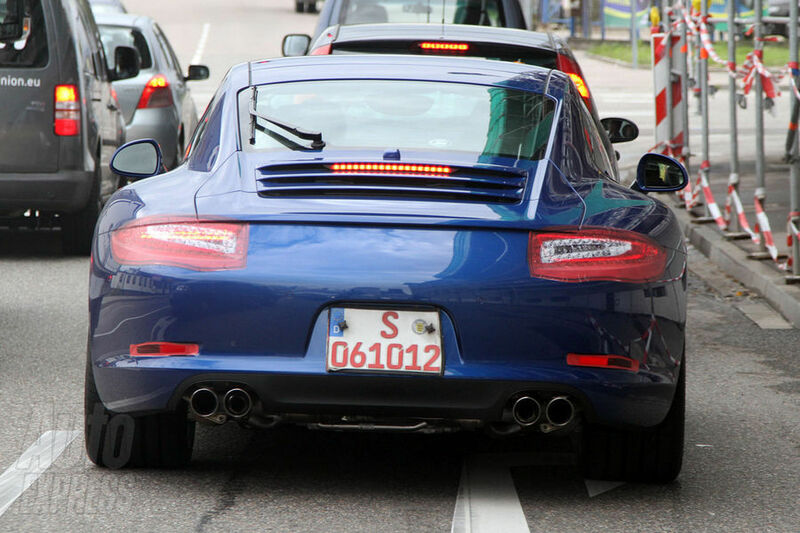 Spotted joining the public road, the car is almost completely free from disguise. The car will be officially revealed at theFrankfurt Motor Showin September. Look closely, and it’s possible to see how the firm’s designers have evolved the car’s legendary shape, adding sharper looking lights at the rear. The front end of the car is different too, and there’s a new look bumper, plus different looking headlamps – which are more oval in shape than before. Still lightly camouflaged, the lights take inspiration from the Porsche 918 Spyder concept car, revealed at last year’s Geneva Motor Show. Our pictures also show the car’s new indicator arrangement, and modified bonnet opening, which is expected to give the car a more aerodynamic look. The side mirrors have also been moved onto the doors, rather than the wing. As we have come to expect from Porsche, the new Porsche 911’s design is far from what we would describe as radical, however, drivers can expect a big boost in luxury, quality and functionality inside. 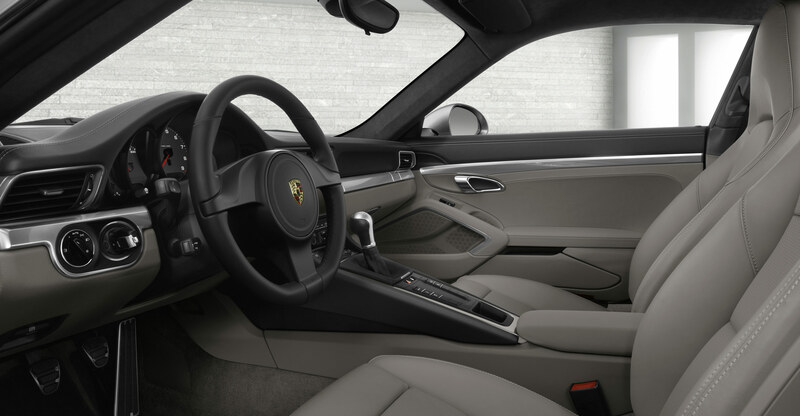 According to our sources, the refresh includes a Porsche Panamera-style centre console, and new leather trims. Under the skin, the New Porsche 911 (Porsche 991) shares its front suspension and steering set-up with the forthcoming Porsche Boxster and Porsche Cayman, however, the rear suspension remains unchanged. Cars will continue to offer Porsche’s impressive PASM damper system, which allows drivers to choose between a series of different driving modes. 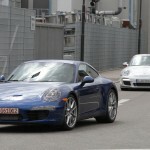 The engine range is the same as that offered in the current Porsche 911 line-up. However, a new direct injection fuel system and stop and start promises to improve fuel economy by as much as 12 percent. Power upgrades are offered too, with the 3.6-litre flat-six Carrera model’s power and torque rising by 20bhp and 20Nm respectively, to 365bhp and 400Nm. The 3.8-litre unit in the Carrera S, meanwhile, gets 415bhp and 44Nm of torque. A six-speed manual gearbox on New Porsche 911 (Porsche 991) will be standard, and the seven-speed PDK will be available as an option. Most buyers are likely to opt for the auto though, as around 80 per cent of current Porsche 911s feature the PDK dual clutch gearbox.